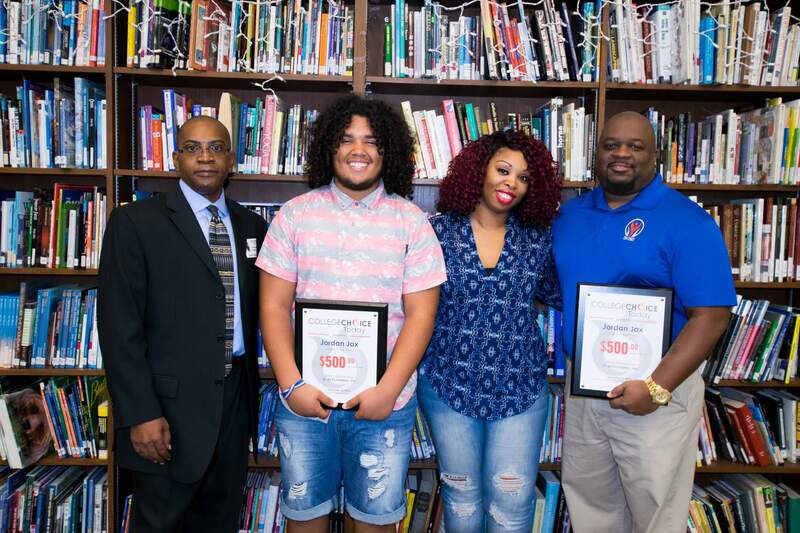 On Monday, December 12, 2016, high school senior Jordan Jax received the first CollegeChoiceToday Service Scholarship in the state of Florida. Jordan was sponsored by Robert Vinson, Jr., founder and executive director of 31-32 Foundation, Inc. 31-32 Foundation, Inc. is a non-profit organization that is “creating opportunities for disadvantaged youth through education and empowerment” in Gainesville and North Central Florida. CollegeChoiceToday is proud to partner with an organization that shares the same mission to help students. CollegeChoiceToday Strategic Business Partner Jermaine Johnson presented Jordan with his service scholarship. “Jordan was selected because he has tremendous potential. He is student who is ambitious, and we are excited for him to begin his pathway to success,” said Johnson. Jordan was joined by his mother Lacondrea Bethea and counselor Ms. Jennifer Breman. CollegChoiceToday would like to thank Mr. Vinson and Santa Fe High School, and wish Jordan the very best as he begins his next chapter!